Science, Technology, Engineering Math: Sharing how people, communities, nations, planets, stars, galaxies do the timeless dance of Nature, transforming Life, having Fun! If you are in L.A. Sat. June 28th this is a great opportunity to hear Dr. Mae Jemison interviewed live at the BET Genius Talks – she’s a one of a kind STEM pioneer! A Wake-up Call From Earl Graves Sr.
African Americans are becoming marginalized in nearly every area of economic participation and advancement. We need to wake up, step up, and rejoin the battle for opportunity, and the unfinished business of all African Americans participating fully in the bounty of our economy as producers, decision makers, and partners, not just as consumers and laborers. The first ever Maker Faire was held at the White House on Wed.
Great slogan from Verizon with music focused videos including some featuring physicist Jim Gates. For more on these African symbols see elsewhere on STEM Drum. Jazz inspires the developers of the WordPress software this blog uses. 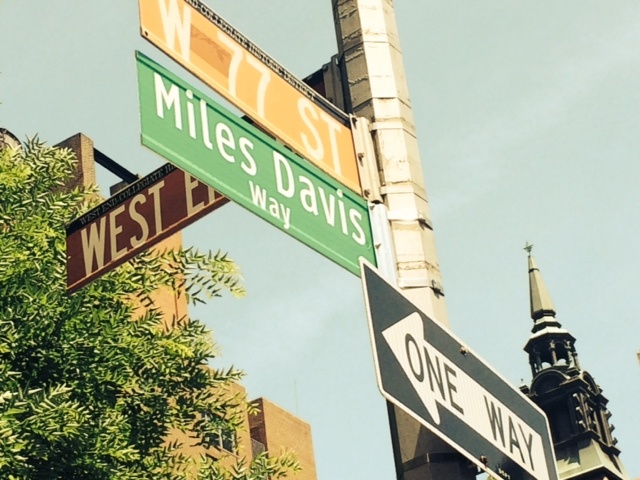 Since 2004 each major new version is named after a jazz musician, the first being Miles Davis. 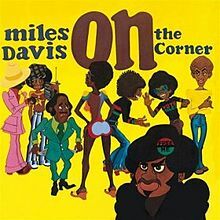 10 years before he made the hip-hop/scratch pioneering Rock IT, Herbie Hancock was involved in another pioneering effort as one of the musicians who recorded On The Corner with Miles . Both sides of the record were based around simple, repetitive drum and bass grooves (the track delineations on the original album were arbitrary), with the “melodic” parts snipped from hours of meandering jams. These techniques, refined via the use of computers and digital audio equipment, are now standard amongst producers of electronically-based music. There’s also something cybernetic about that sound. The 1972 technology probably didn’t have many computers in the mix, but you can hear the hints toward sampling and digital editing. It is the street finding it’s own use for technology, but to a beat that William Gibson never imagined. It’s the shape of funk to come, pointing the way to rap, hip-hop, techno, the Afro-pop of King Sunny Ade and Fela Anikulapo Kuit. Last but not least , Don Cheadle is using the tech-driven Indiegogo to help fund his Miles Ahead movie. Supporting these kinds of efforts will help keep more of the value of our innovation in the village. Amiri Baraka(RIP) ends his brilliant sci-fi short story Rhythm Travel with a warning not to pick “a corny tune” but I guess the cat at the end of the Bar-Kay’s video didn’t get that memo 🙂 He probably needed to hear something more like The Staples Singers I’ll Take You There(hmmm more from Memphis) or Lakeside’s Fantasic Voyage or EWF’s Boogie Wonderland or Interstellar Space by Coltrane(perhaps this was a prototype for how some advanced form of teleportation will work). This could be about MIT’s Scratch programming language, but since it’s African American Music Appreciation month the focus is on the innovation that is still influential today. Let the “cool” begin! 6000 developers cheer as new employee Dr. Dre is featured in a demo of new Mac phone capabilites.